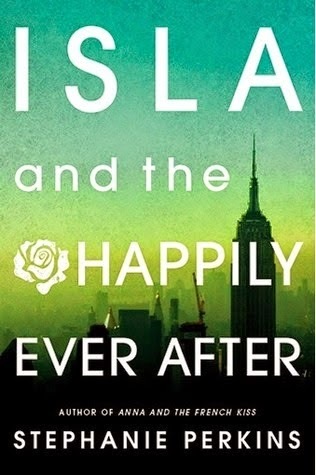 This week I'm anticipating.... *drumroll please* ISLA AND THE HAPPILY EVER AFTER BY STEPHANIE PERKINS! But really, who isn't? Anna and the French Kiss and Lola and The Boy Next Door are two of my favourite YA contemporaries, my love for these books knows no limits! They are so adorable and lovely and ahhhhh swoon. I have so many emotions. After reading the sneak peak that I downloaded from NetGalley, my excitement for this book multiplied by a million. Already I feel like I have a connection with Isla, and I've already developed a HUGE crush on Josh. In the past few days I've seen a couple of people (Americans mostly) tweeting about having bought their copies early. WHAT? NO WAY! WHY? HOW? ME TOO PLEASE! I simply can't express in words how envious I am of these people. Some of them have already finished reading it! 9 days before the rest of us! I cannot contain my excitement for this book. I am practically screaming! There are nine days until the Australian release and you can guarantee I'll be swinging by the bookstore after school to pick up my copy! Are you as excited as I am? LET'S BE EXCITED TOGETHER.